Vous pouvez également utiliser 63600 Kobo Super Points pour l'obtenir ! With the expanding aging population in both the United States and worldwide, health issues associated with aging are major personal and public health concerns. 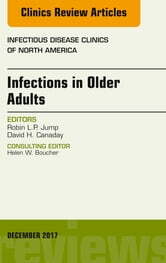 Although cardiovascular diseases, cancers, strokes, dementia, pulmonary disease, and diabetes mellitus are listed as major causes of death in older adults, in many instances the final cause of demise is complications associated with infections. Dr. Jump and Dr. Canady have assembled top authors to present the current clinical knowledge on the following topics: Urinary Tract Infections; Clostrdium difficile; Wounds/SSTI; Influenza; Other Respiratory Viruses; HIV; Antimicrobial Stewardship for Older Adults; Antibiotics at the End of Life; Sepsis in Older Adults; Antimicrobial Therapy in Older Adults; Norovirus/Viral outbreaks; and Bone and Joint Infections. 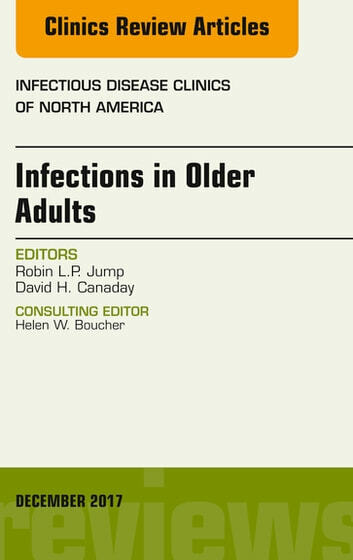 Readers should have a solid understanding of the current clinical information needed to effectively manage infections in older adults.